Home / April showers bring … mystery auctions? While we’re not ready to name names just yet, QuiBids is proud to announce that we’ve partnered with some — unique — vendors for the month of April exclusively. And by “unique,” we mean that we’ll be auctioning off items never before seen on this site — or any other, for that matter. 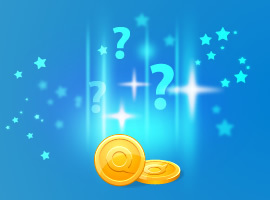 Just what could these mystery items be? We’re not at liberty to divulge just yet so you’ll just have to keep your ear to the ground this Sunday. But for being good QuiBidders and checking the blog, we’ll whet your appetite with a few teasers. This prize will open your eyes to a whole new world. “Someone Like You” — assuming you’re a pop music fan — will Ad-ore this auction. Our first You Choose It that isn’t a selection of gift cards. Hurray! Let’s hope you can survive on Twinkies. iWouldn’t leave my computer during this auction if iWere you. You’ll be all up in the bank with this funny face. They probably won’t let you back into Panem if you win this auction. You’ll get two for the price of one!